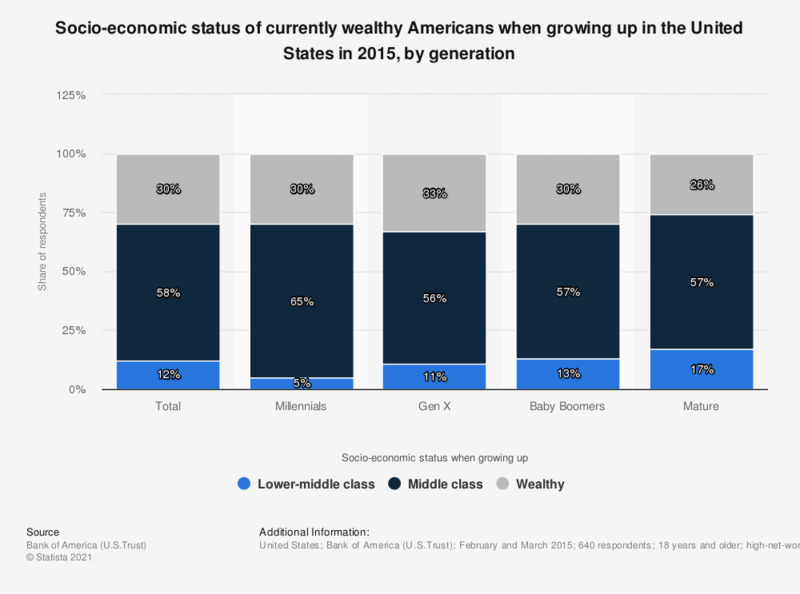 The statistic shows the results of a survey of wealthy individuals in the United States. This statistic deals with the socio-economic status of currently wealthy Americans while growing up. In 2015, 58 percent of the wealthy Americans interviewed came from middle class families. The 640 people interviewed for this nationwide survey were high net worth or ultra high net worth individuals.